When with a supportive group of people, have you ever noticed your tendency to try new experiences and attempt seemingly impossible actions? You know those experiences and actions you never would have tried on your own. In high school this was called peer pressure and often was negative, but as grown ups it can be positive. If you have ever had at least two friends at the same time, you know exactly what I am talking about. This supportive group of people becomes a community, and together they reset the culture and perception for what is possible. While the community and culture is the most influential when the group is together, the effects can remain for some time when the group is apart. Think about this for a moment! This “community” and its “culture” have the incredible super power to transform how you think and behave…even better it will allow you to act in bold and innovative ways. That is totally a super power! Like being Clark Kent until you get with your community, and then you become SUPER YOU! This same principal applies to entrepreneurship within cities. For instance I can remember in Kansas City in 2007, when a group of about 10 entrepreneurs formed the informal group, called Entrepreneur Exchange 3, to share insights and connections as a means to helping each other reach success. Now at that time starting a business wasn’t considered nearly as cool as it is today. In fact entrepreneurs were considered not worth supporting until their business reached at least $1 million. Members of Entrepreneur Exchange 3 thought the insights and connections shared was the value to be gained, but it turned out that the communal togetherness was the real value. As the more we met and collaborated, the more aggressive and successful each of us became. So much so that many of those entrepreneurs are now industry giants, like Chris Smith of Athlete Network! Now it wasn’t that we became smarter, stronger, or could even read minds that led to our success, but rather our edge became our confidence and belief that we could win in any situation. Each of us gained our “Super Powers” through the community and its culture. Just like the superhero “Green Lantern” needs to power up his ring every so often using his lantern, we entrepreneurs need the community and culture to power us up! In many cities and regions, Incubators and co-working spaces offer entrepreneurs that same community and culture power up. While the support and interaction that entrepreneurs will have with each other is as diverse as the types of incubators and co-working spaces, it is inevitable that being together will generate those super powers. More importantly incubators and co-working spaces have the ability to power up, by spreading the sense of community and culture to the surrounding city or region. Allowing more people to gain super powers and to flex them in entrepreneurial ways and businesses. This is a core infrastructure within the book The Organic Entrepreneur Economy, and could help cities and regions. For the power up potential on an economy will be profound. 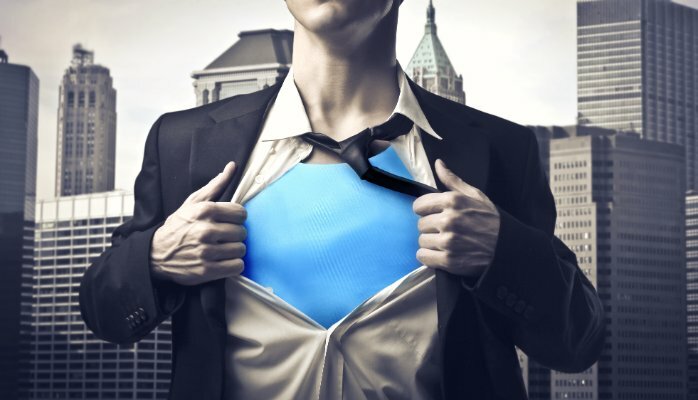 How have You helped entrepreneurs to gain their Super Powers? What if Customers can be Created? How do Hippies ALWAYS become Entrepreneur Moguls? Don’t Hold Back the Brutal Honesty!